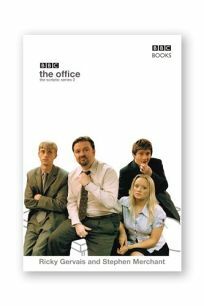 The BBC television show The Office was a critical and popular sensation when it first aired in Britain in 2001, and its second season premiered this fall on BBC America. The show pokes fun at cubicle culture, but doesn't employ a laugh track, punch lines or snappy comebacks. Rather, it takes a""mockumentary"" approach reminiscent of Larry David's Curb Your Enthusiasm. This accompanying volume shares the full scripts from six episodes in the series' second season, as well as a few fictional interoffice e-mails. Not surprisingly, reading the actors' lines on paper is not nearly as amusing as seeing them acted out ironically on screen. The book's photos, however, quite hilarious. The washed-out images could make a comic photo essay on their own: they feature the cast sporting drab outfits in depressing, messy office settings, and serve as a wry stand-alone commentary on office life.